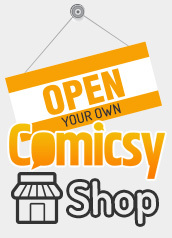 Upgrade your Comicsy account for more storage space and additional features. Have you run out of storage space? Take a look at our Comicsy Pro service levels and choose the right one that suits your current needs. Upgrading is easy and we'll be able to set up a recurring payment via your Paypal account. You can cancel or reduce your service level at any time.